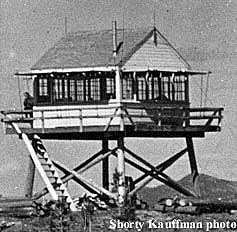 1967: The lookout was burned in a wildfire. 2001: The lookout was purchased and moved. 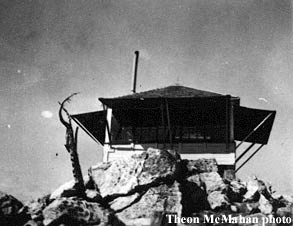 1929: An L-2, 12 x 14 gable roof frame cabin with a cupola, constructed. 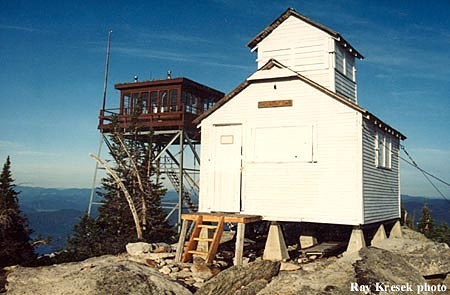 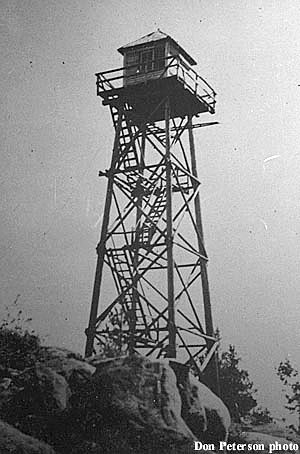 1977: A twenty-five foot steel tower, moved from Packsaddle Lookout, was erected with a Idaho Department of Lands 12 x 12 wood frame cab.